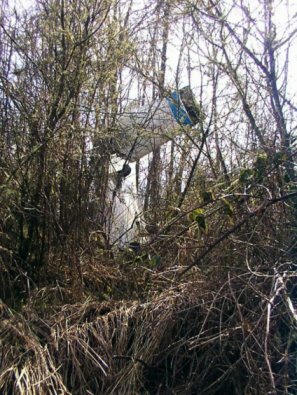 Crash occured seconds before touchdown at Cottage Grove Airfield in Cottage Grove, Oregon. 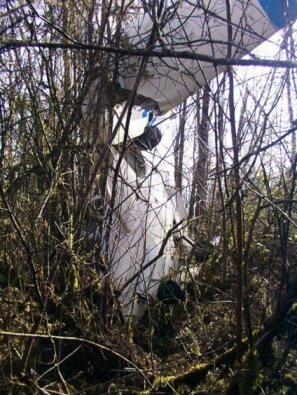 Aircraft was 100 feet above the ground, landing gear already extended. Engine sputtered then quit. 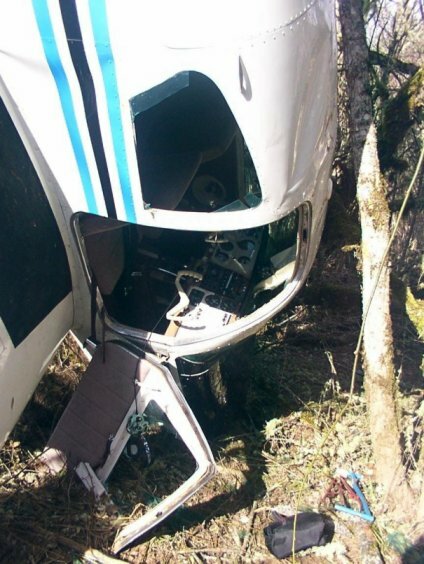 Luckily, pilots walked away with only hematoma's and scratches and moderate shock considerting the plane was only equipped with only lap belts - no shoulder harnesses. Note: I did not notice a fire extinguisher on board. It appears the the pilot in command, prior to the crash, did an engine shutdown before impact to prevent a fire (zoom on image). Normally, the doors are cracked open before impact. This does not appear to be the case. Door handle (on shotgun side) shows struggle & damage. 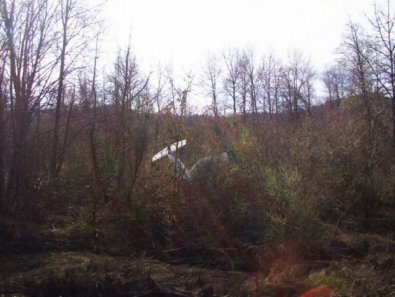 The propeller was completely buried underground. 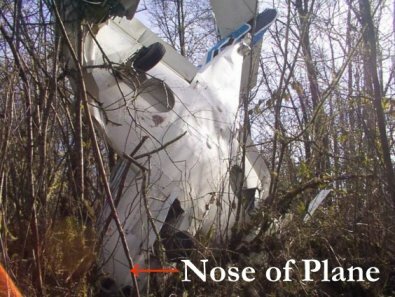 It's possible the blades snapped off as the craft went sailing through the trees. One of the wings was completely sheered off - and this probably slowed the aircraft down a lot considering it was probably going 65 - 75 knots. No av fuel leakage. 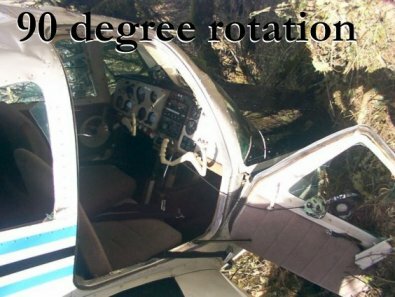 Was there any fuel in any of the wings - and did the pilot (who just bought the plane) forget to switch tanks???? NOTES: To get to the crash scene to photograph these images, we had to wade through an icy creek and climb through a thicket of blackberries. We stayed clear from the empennage assembly because of dangling metal and make sure we didn't disrupt the FAA investigation.